The Kyle Busch Foundation Dinner is always a special night for us. It is about bringing the community, family, and friends together to raise money for our Bundle of Joy Fund. 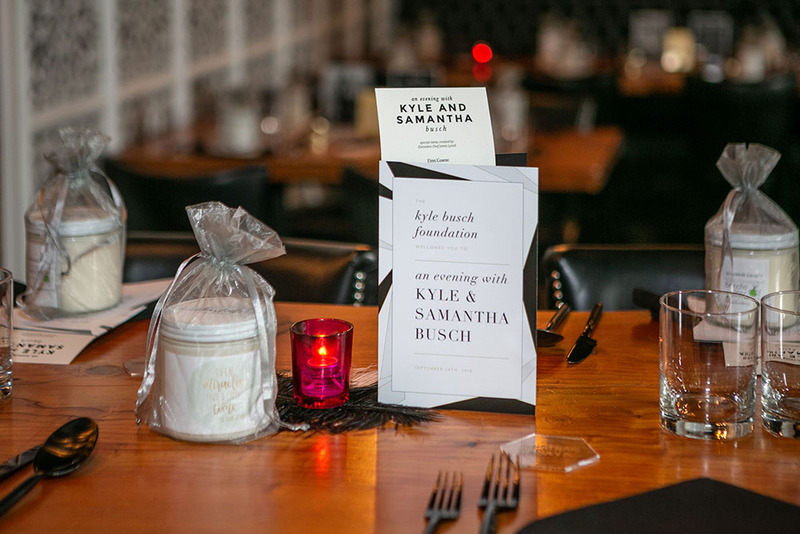 The Kyle & Samantha Busch Bundle of Joy Fund is a monetary award for in-need families struggling with infertility. 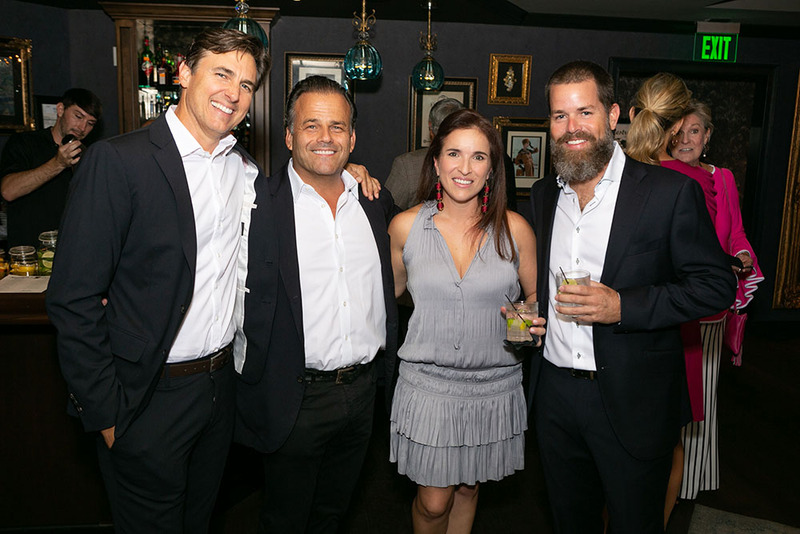 These funds will assist with the costs associated with infertility treatment through the REACH Clinic of Charlotte. Many people don’t realize that one round of IVF can range from $15,000 – $25,0000. It is such an honor being able to award these couples with grants to try to become a family. Because of the support we receive we have been able to help 31 families to date and have given away around $400,000 in grants! 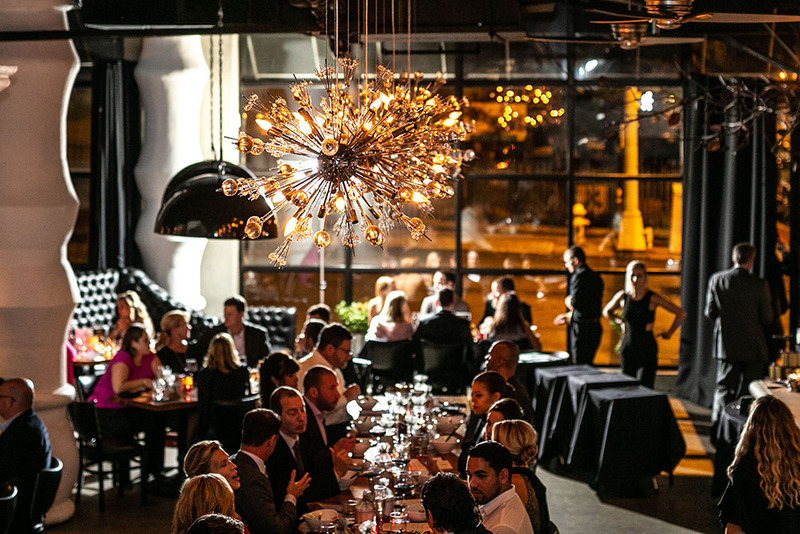 We really pride ourselves on hosting a fabulous evening with gorgeous decor, fun cocktails, amazing food and entertainment. 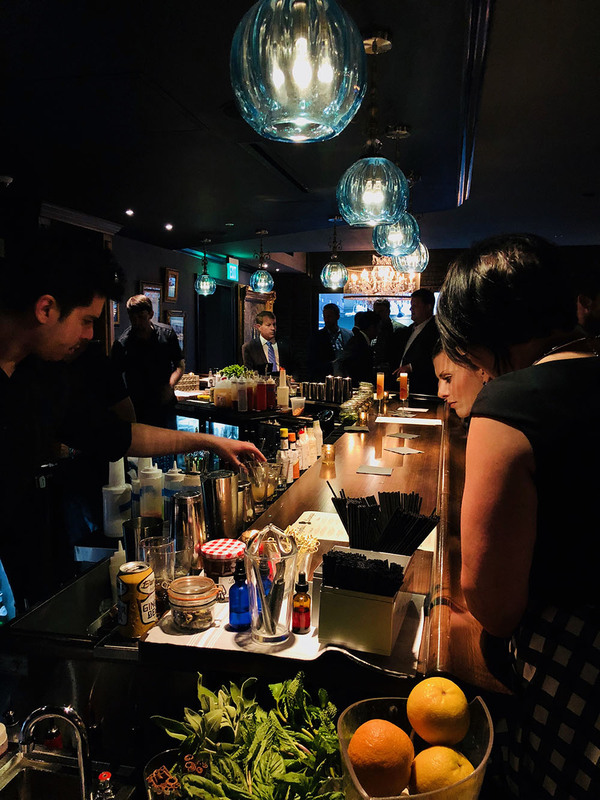 We usually get a lot of questions about the event so I wanted to do this blog to show you what the evening looks like! 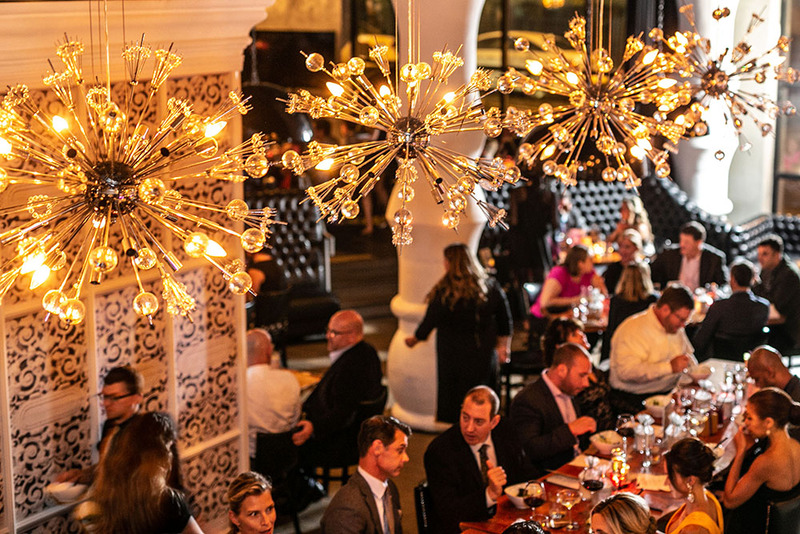 This year we decided to incorporate the beautiful Sophia’s Lounge for our cocktail hour which is connected with 5Church where we have had our dinner at the past five years. 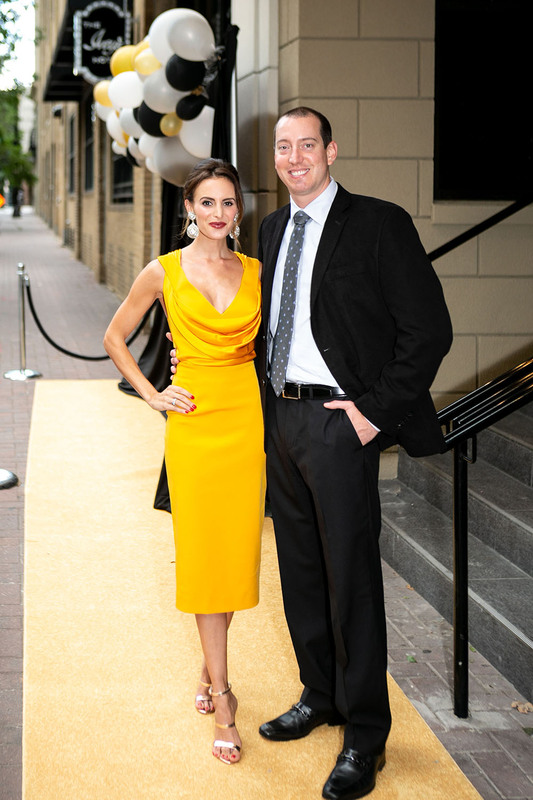 We wanted to ensure a grand entrance so of course we rolled out the GOLD carpet and balloon arch for the perfect photo backdrop! Just Pinterest how to make a balloon arch, some very talented gals from KBM whipped it up quickly and it’s an inexpensive way to get a real wow factor! They were all amazing and perfect for fall! 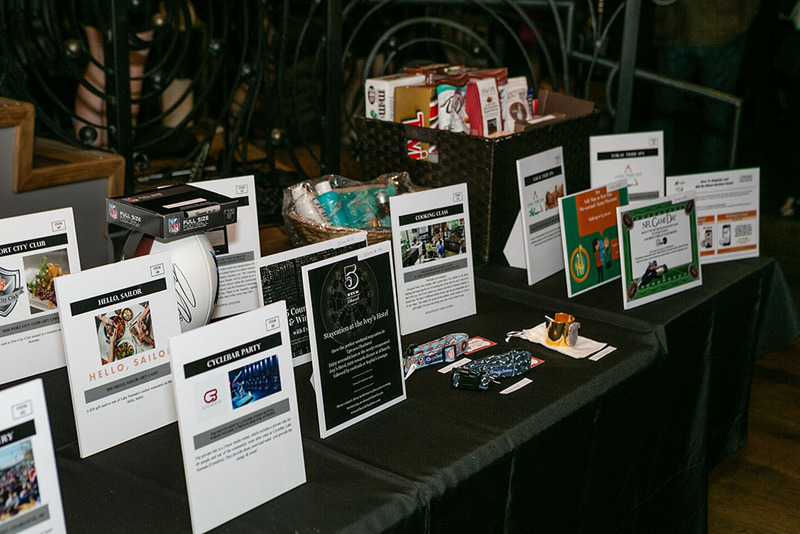 Our silent auction was filled with a variety products and prizes ranging from hair care to a private jet trip! We had such amazing donations this year and many local companies that supported. If you would ever be interested in donating a silent auction item in the future please let me know! 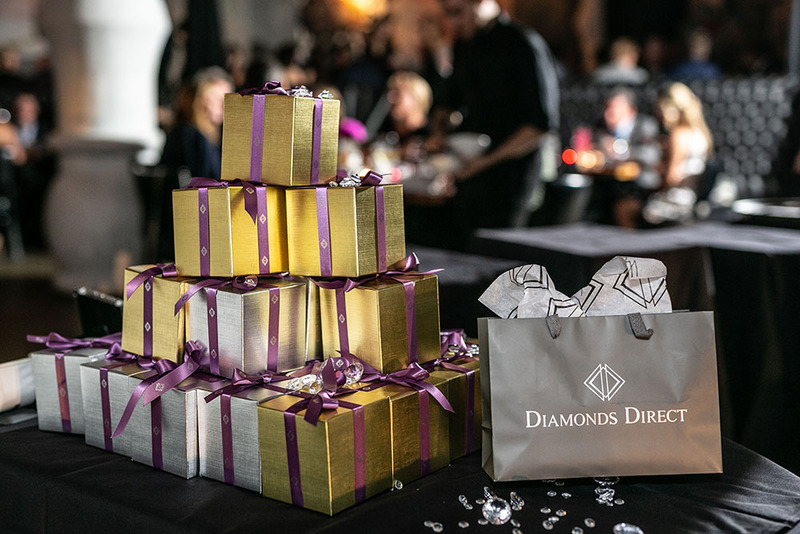 Also, a huge thank you to Diamonds Direct for their amazing boxes! 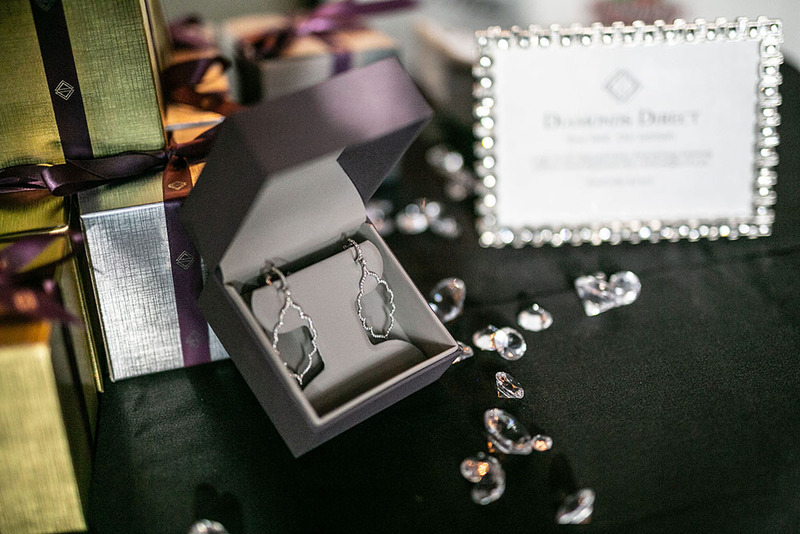 One lucky winner went home with these beautiful diamond earrings! Now let’s head over to 5Church! We spent the morning making sure the tables and room were perfectly curated. I love to customize any table and this year we did something a little different for our centerpieces. 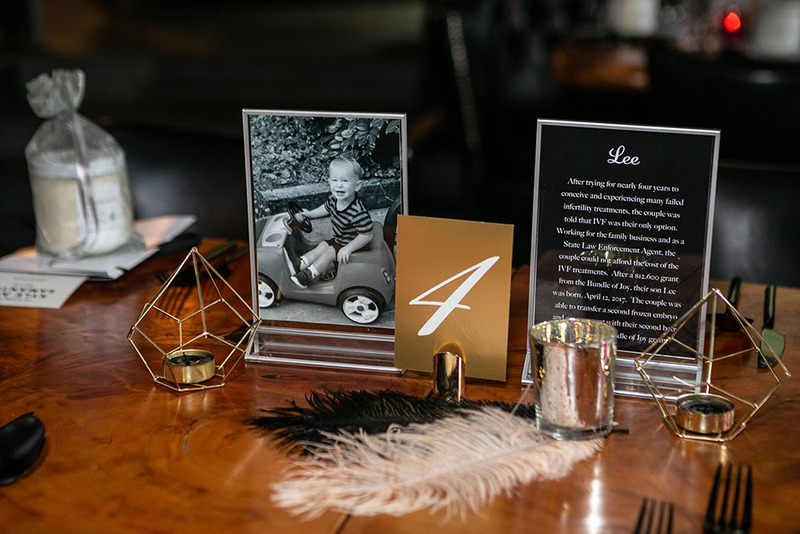 It’s always fun to switch up your typical floral centerpiece for one that includes feathers! If you know me, you know I am obsessed with feathers and metals! We combined our statement colors of black, white, gold and silver and added different variations of height with candles and picture frames. 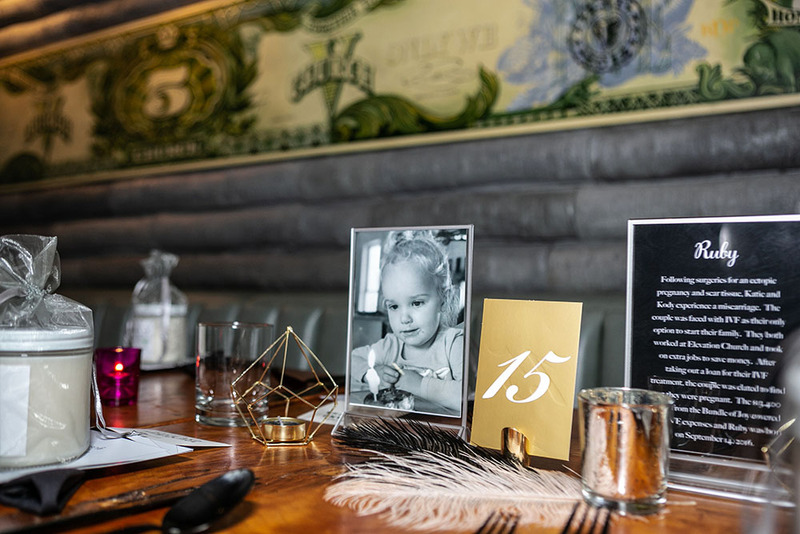 Each table was special to me because we featured one of our miracle babies and their birth stories. 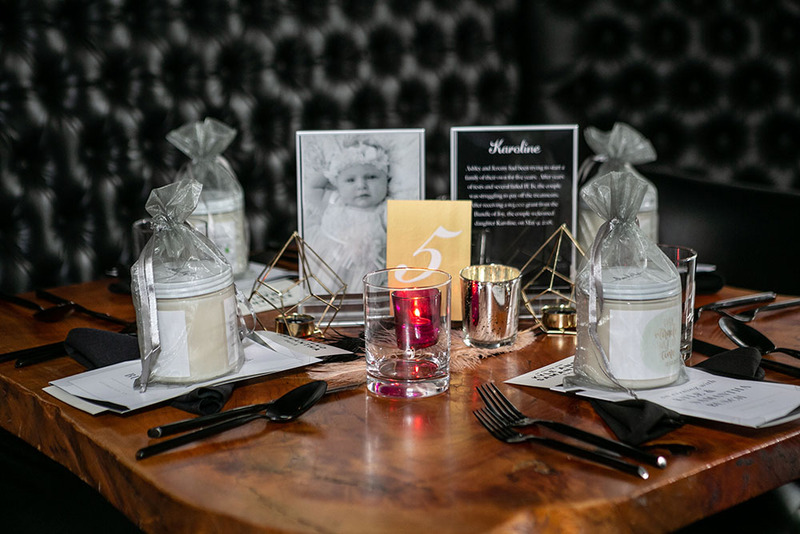 We felt it was really important to share these families journeys with the guests so they could understand the heartache and struggle these couples had to face before having their bundle of joys! Now let’s talk Menu! 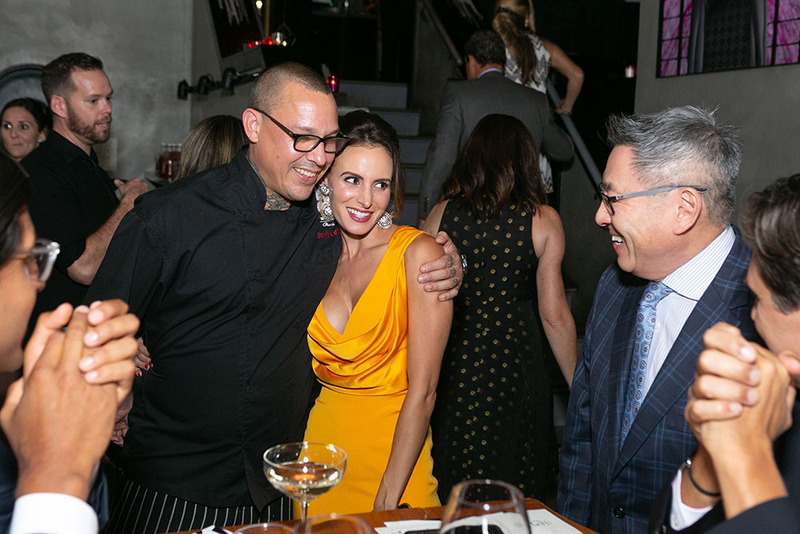 We absolutely love the staff and chef at 5Church, they always go above and beyond! Chef Jaimie (who was just on Top Chef!) 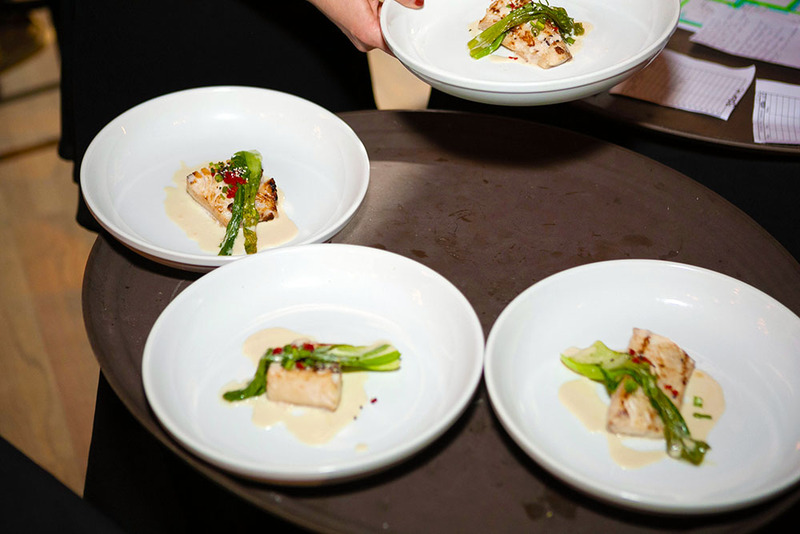 and my team work together to create a unique dining experience for our guests every year! The pear salad was my favorite because I’m a total sucker for presentation and this dish is simple to recreate for a home dinner party but gives your guests the wow factor! What made dinner so entertaining you ask? The Illusionist! 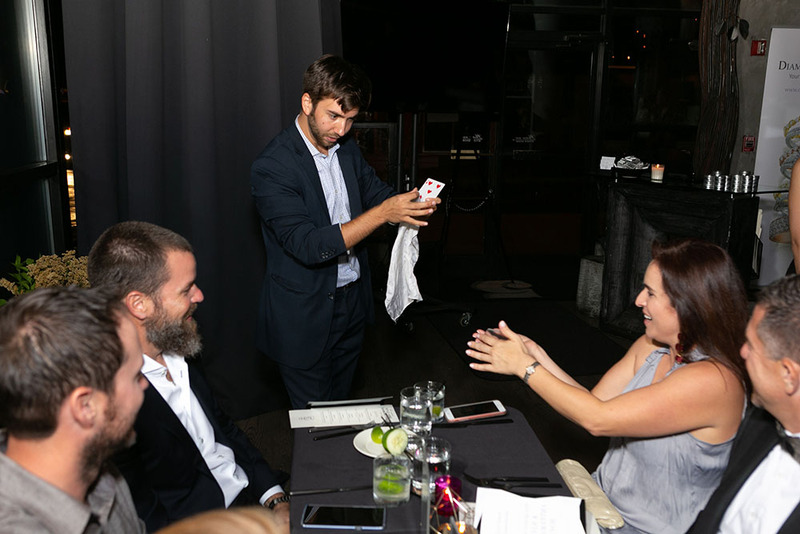 We featured an illusionist that made his way to every table showing off his fun tricks! He was a new addition that I think have our dinner something extra special this year. Due to all of the support we have received over the past few years we have had 14 babies born with 3 more on the way. 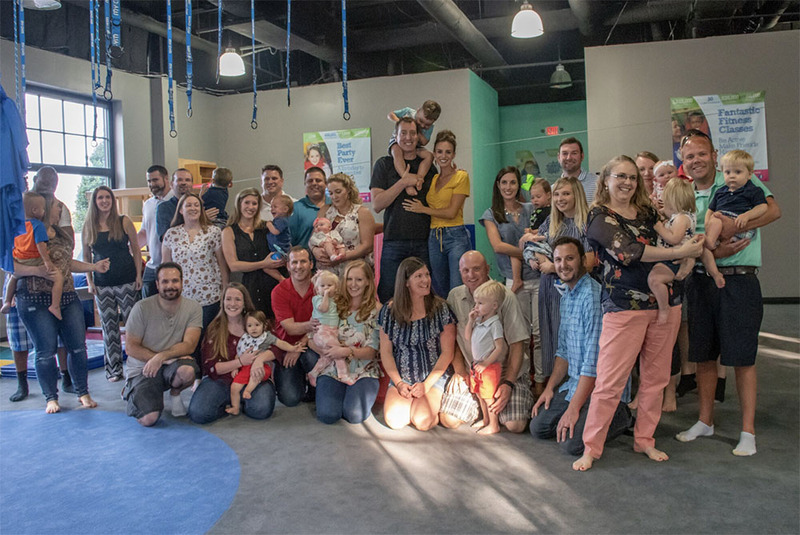 It was always a dream of mine to have a big play date with all the children hosted by Brexton so this year that’s exactly what we did! 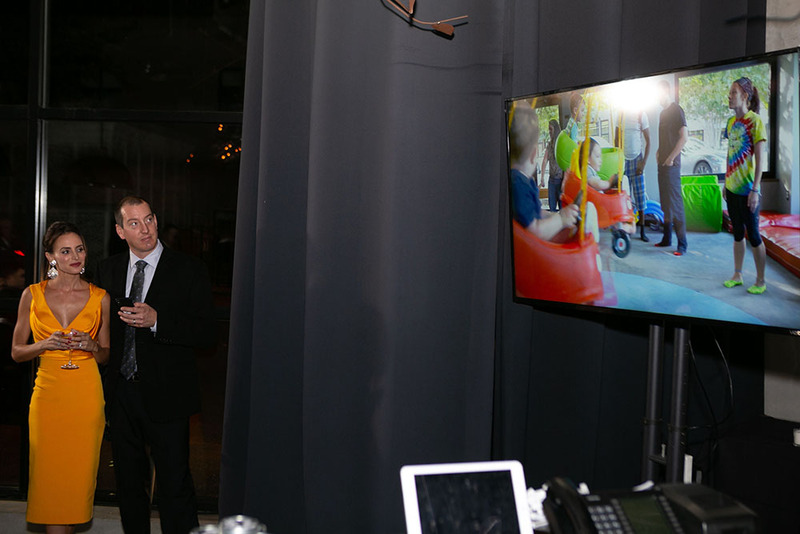 Watching the recap video of our first playdate was an emotional experience for me. I feel blessed that Kyle and I have the opportunity to help other families with infertility issues. We shared this video with the dinner guests and they were all so moved to see exactly how their donations help. 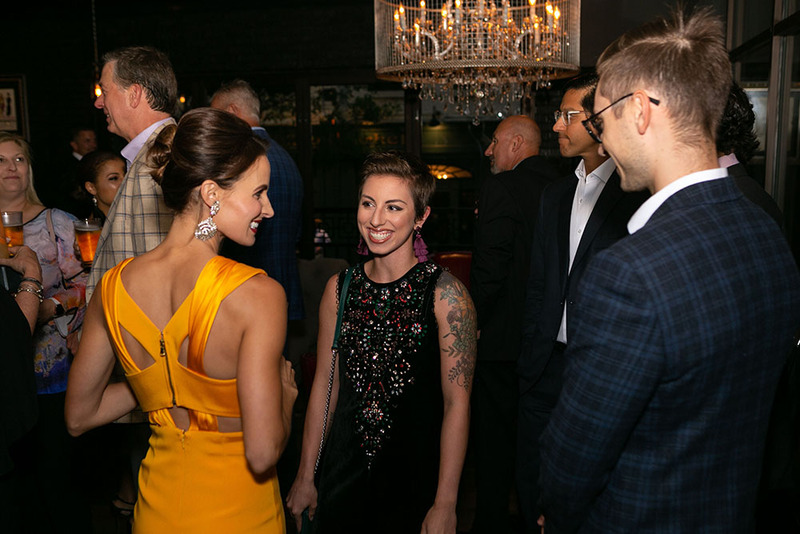 It was special to be in a room surrounded by family, friends, and community all aiming for the same goals. Providing families, the opportunity to welcome their bundle of JOY. 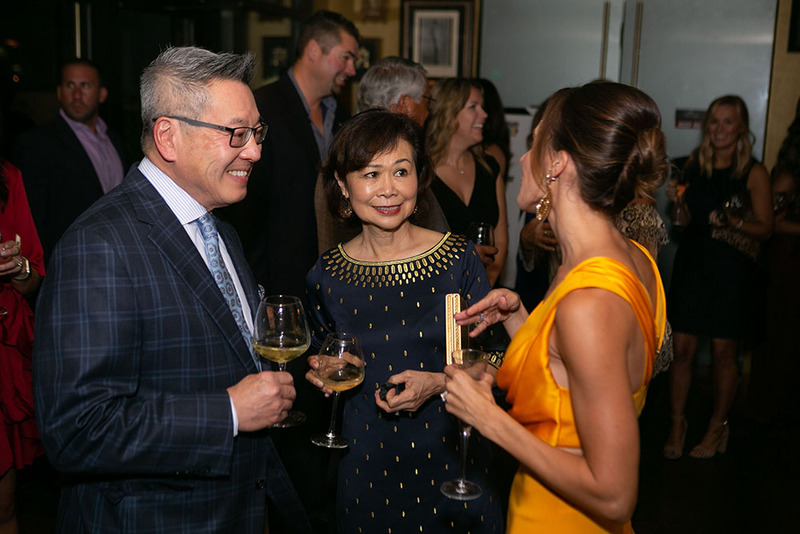 We are honored to say that we raised over $150,000 and can’t wait to continue awarding grants to couples!